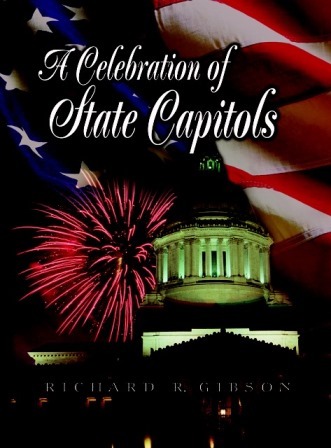 Richard Gibson, a CPA by profession, brings an appreciation for accuracy and a keen eye for detail to the presentation of State Capitols in this exciting collection of American history. Through many years of personal visits, research of archival data, and collaboration with state capitol officials and authorities, the author has produced a virtual walk through the history of the state capitols of the United States. Capitol's are “the people’s house” and they belong to the citizens of their state. This vivid, full-color on all 271 pages of the book is a tribute to these remarkable buildings—it is a striking scrapbook of architectural photos and facts, vintage capitol postcards, meaningful memorabilia, state governor’s mansions, and each states history and quest for statehood.